Cancer pain is something we don’t like to think about but if your pet has been diagnosed with cancer, he or she is almost certainly experiencing pain. Once diagnosed, your vet will work with you to create a pain management plan to keep your pet comfortable during treatment. Here are some pointers to keep in mind as you discuss this plan with your veterinarian. What possible side effects might I notice that are related to the pain management my pet is receiving? Could the various medications my pet will be receiving interact in a way that causes side effects or changes the way the drug works? How often will my pet need to be reassessed for pain? Should I change how my pet plays with the other pets in my household? Is there anything I can do at home to enhance the pain management plan we are putting in place? 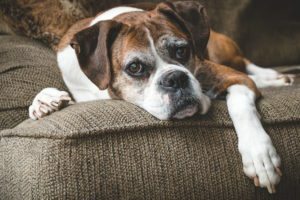 Is there anything I can do at home on my own if I notice my pet having a “bad” day with increased pain? Is there any way to perform pain assessments at home where my pet is most comfortable? You can help monitor how effective the pain management plan is at home by keeping a log of your pet’s activities. This will help you notice trends as well as daily ups and downs. 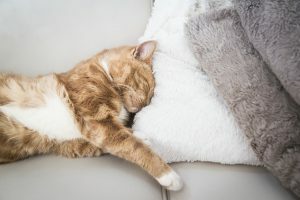 Sleep habits such as when your pet goes to bed, when it gets up in the morning, the quality of sleep and restlessness during the night or while napping. Dr Alice Villalobos, a veterinarian who focuses on cancer medicine in California, has made a practical quality of life scale. The scale involves giving your pet a score between 0 and 10 (where 10 is the very best, and 0 is the very worst) in seven different categories. More good days than bad. A total score of 35 or less, or a score of 5 or less in any single category is a red flag that you need to talk with your veterinarian to uncover ways to improve the score. It might be time to start making a more difficult decision because the pain is no longer manageable.